Jupiter, the largest planet in our solar system, and Uranus, half the size of Saturn but a mighty planet, will travel together beginning June 8, 2010. Just what does that mean for us? Potentially, their conjunction can be huge in many ways. These planets are both encouraging us to grow and change. Jupiter brings opportunity for growth, expansion and enthusiasm if interpreted positively, otherwise it can inspire fanaticism, overindulgence and extravagance. Uranus brings about the possibility for awakening our creativity, intuition and originality, or it can bring us unexpected events, destruction and rebellion. Together they can inspire global change, but what kind will it bring? Depending where on the planet you live you might speculate on the possibilities, and fearlessly move forward in a proactive way. Prepare for the worst but expect the best. Staying flexible and open to the possibilities will drain the fear out of your body that would otherwise paralyze you in a crisis. 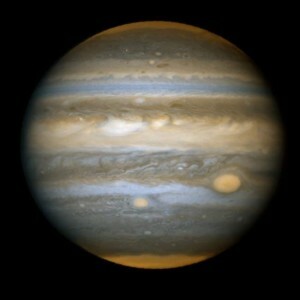 These planets are exactly conjoined through June 13th, then Jupiter will move on. Take a moment to comment, make a prediction from your world view. Or, after this week, let us know what happened in your life.